Gordon Fraser, CFA, Managing Director, is a portfolio manager on the Global Emerging Markets Equities Team within the Fundamental Active Equity division of BlackRock’s Active Equities Group. Mr. Fraser manages the Core Global Emerging Markets, Emerging Markets Equity Strategies, and Emerging Markets Absolute Return strategies, as well as the Emerging Frontiers Hedge Fund. Mr. Fraser is also research pod leader of the North Asia Healthcare, Utilities, Materials and Energy pod, and has responsibility for the Team’s macroeconomic analysis. Prior to his current role, Mr. Fraser was research analyst, specializing in Middle Eastern, Turkish and Indian Equities. He joined BlackRock as an Analyst in 2006. Mr. Fraser earned a BA (1st class) and an MPhil (distinction) in Economics from Cambridge University in 2006. He is also a CFA Charterholder. Overall, performing better than the peer group composite. Over a fairly lengthy track record, the manager has outperformed the peer group more often than not. Good stockpicking has had a material positive impact on results, which have not been particularly exposed to falling markets. 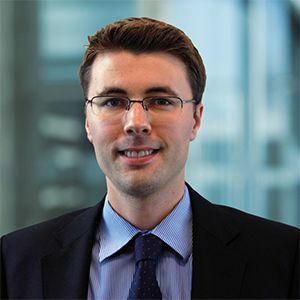 Gordon Fraser is an FE Alpha Manager who has maintained a consistently high alpha score over a proven track record in rising and falling markets.